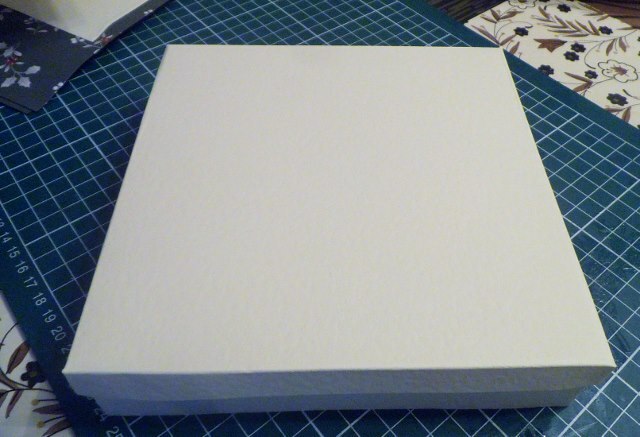 15cm Sq Raised box Turorial made from A4 card stock. costing about 30cent to make un-decorated. as we all like height and dimension on our cards. with either decoupage or flowers. 15 cm box for Raised Aperture Card, or decoupage card. This card won’t fit a box made from A4 card. The correct measurement would need to be 23cm Sq, and A4 card is only 21cm wide. so you would need to use A3 card. So below I have given you instructions to extend the height of a box to fit a 15cm Sq card with a 3cm depth, using A4 card. 1. 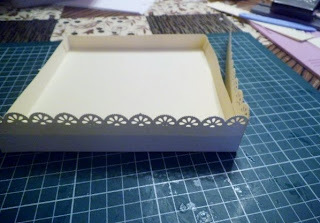 Cut 2 x 20cm Sq panels and Score on the 1st line of a Crafter’s Companion board, one on the lid and one on the base, give all scored lines a nice tight crease with a bone folder. 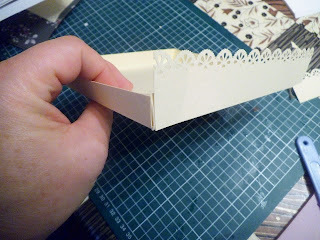 Snip into each of the corners, removing a small snippet to allow to corners to stick neatly. I use hot glue to stick the corners, which dries instantly, if using H-tac glue, use a peg in each corner to hold box in place until dry. 2. Cut 4 x 4cm by 21cm Strips of card from the pieces you cut off the main A4 cards, add a punched detail to the strips. 3. 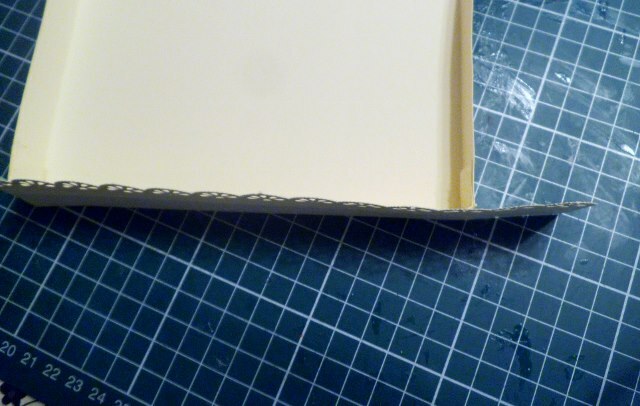 Start sticking these strips to the outside of the box as neatly as you can. 4. Wrap the over hang scored to wrap around the corner. 5. 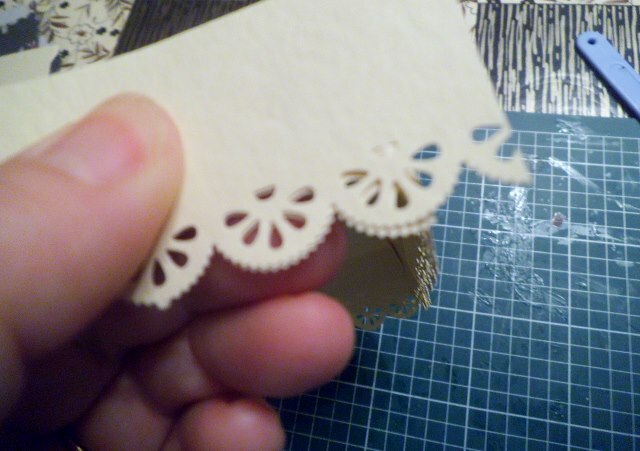 When placing the next strip in place, try to join up the punched detail design as neatly as you can,. 6. And continue to stick and wrap the punched strips all the way round, when you get to the last corner, trim excess away. 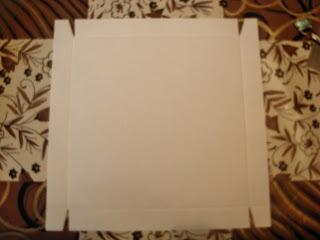 I then use hot glue on the last corner to secure in place. 8. The lid is made as normal and sits neatly on top. 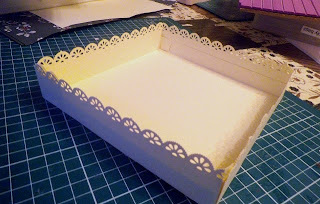 line the box with tissue or a doily inside. 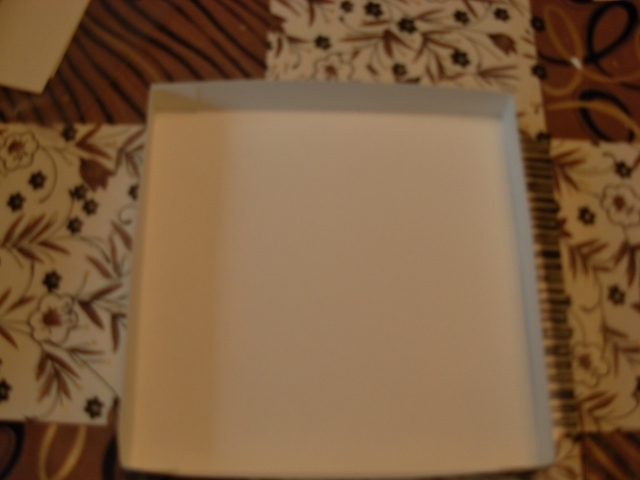 and decorate the lid to match the card or gift inside. 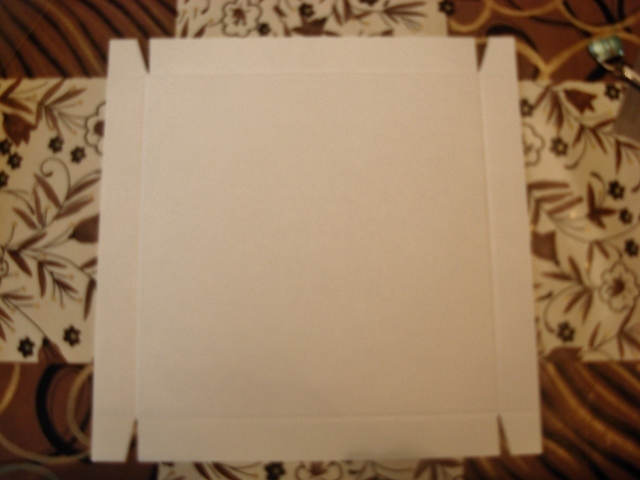 The main box should be 21cm by 26cm and scored the same as above. the strips should be 4cm by 30cm. so this would take 3 A4 sheets to make.